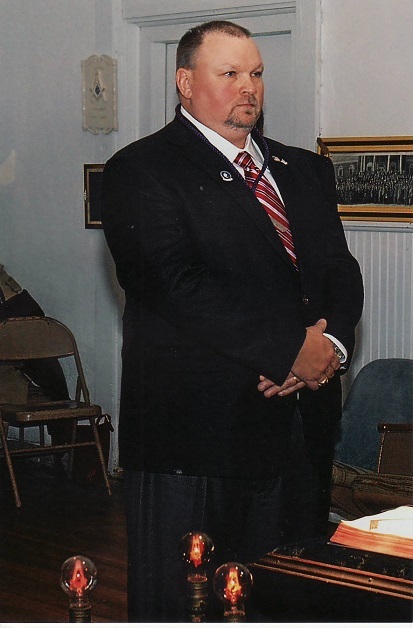 Master-Elect Hillard Newsome, Jr stands west of the altar. 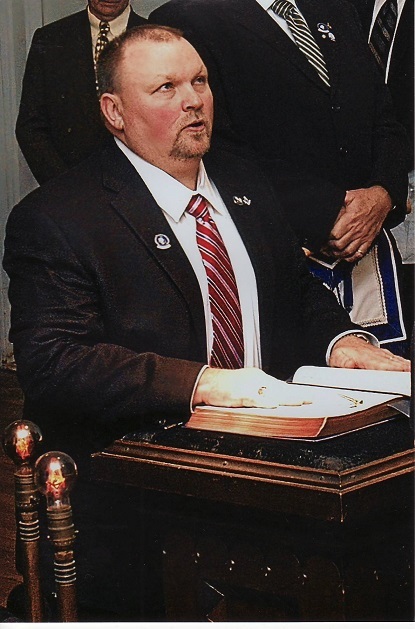 Master-Elect Hillard Newsome, Jr assumes the oath and obligation as Master of Elvin E. Helms Lodge No. 926. 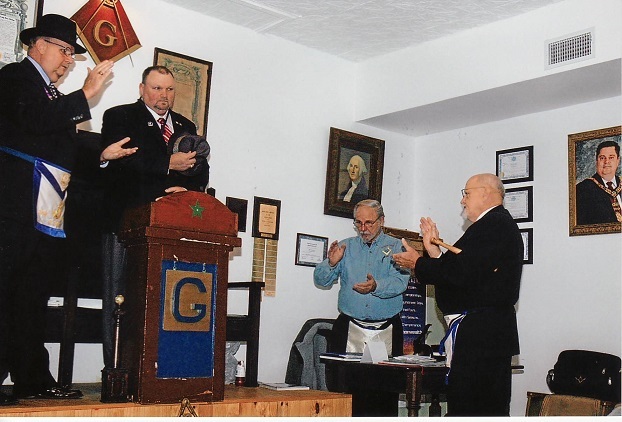 Craftsman greet newly installed Master Hillard Newsome, Jr with Public Grand Honors. Officers of Elvin E. Helms Lodge No. 926 for 2011. 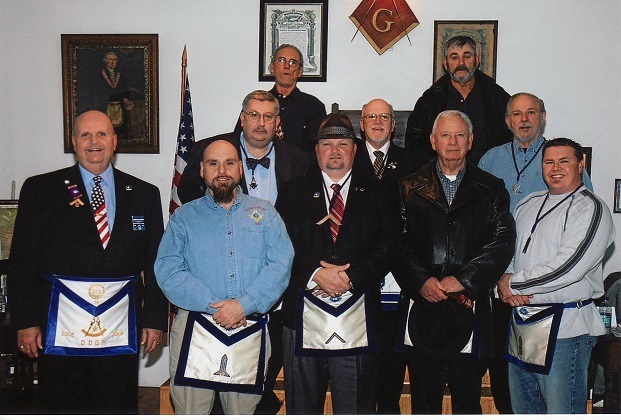 First row, left to right: Al Cummins, P.M., Installing Master; Travis Bush, Senior Warden; Hillard Newsome, Jr, Master; Mel Kinser, P.M., Senior Steward; Jason Wallace, Junior Warden. Second row: Dan Kemble, Senior Deacon; Garry Kelly, P.M., Junior Steward; Ed Tanner, P.M., Secretary. Third row: Dennis Stephens, P.M., Junior Deacon; Rick Campbell, P.M., Tyler.